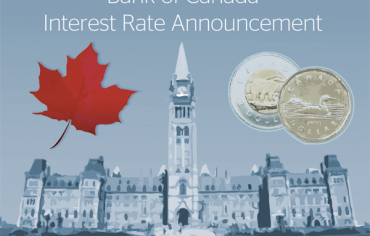 The Bank of Canada (BoC) made its regularly scheduled interest rate announcement this morning and confirmed there would be no change to the target for the overnight rate. The overnight rate is the interest rate banks charge when they lend money among themselves, and influences the prime rate which affects consumer debts like mortgages and lines of credit. Leaving the key rate untouched was considered the most likely decision leading up to today’s announcement. The BoC finds itself in the middle of a number of challenging factors. The negative effects of a rising Canadian dollar and struggling exports would be helped by a rate cut, while rising household debt and runaway house prices would be made worse. In the middle is the Bank’s mandate to focus on the rate of inflation, and looming overhead is the forthcoming federal budget (and you can bet Poloz has no desire to make enemies of his new bosses in Ottawa). In the announcement, which was released at 10:00 this morning, the BoC said, “Financial market volatility, reflecting heightened concerns about economic momentum, appears to be abating. Although downside risks remain, the Bank still expects global growth to strengthen this year and next.” In other words, the economy seems to be calming down, and there’s nothing on the horizon that poses enough of a threat to Canada’s financial situation to warrant a rate cut. The release was positive about employment and non-energy exports, but reminded us that weakness in oil will continue to hamper growth indefinitely. So what does all this mean for you? After today’s announcement the prime rate will likely remain at 2.70%, and if you have a variable-rate loan you can expect to continue paying the same interest rate for the next little bit. If you have a variable-rate mortgage, your rate will hold steady as well. 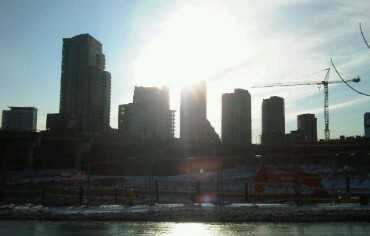 What we’re not sure if we’ll see is an uptick in competition in rates for new variable mortgages. The discount to prime rate has held fairly steady since January, and the best 5-year variable mortgage rates have been holding within the 2.00% – 2.10% range (or a discount to prime of between 60 – 70 bps). The spring mortgage market usually leads to lower mortgage rates, but that might not be the case this time around. Last year the banks didn’t pass on the full discount from two BoC rate cuts, and most banks have raised their 5-year fixed mortgage rates since then. The BoC doesn’t influence fixed mortgage rates directly, but it’s one of many signs that mortgage rates are as low as they’re going to be for the near future. 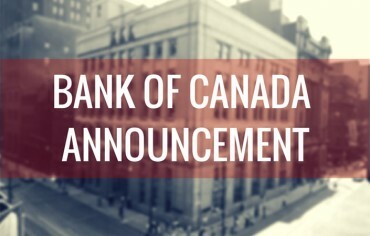 The BoC follows a regular schedule for interest rate announcements. Its next opportunity to raise or lower the key interest rate is in 5 weeks, on April 13th.